Most food includes “hidden salts” that can be dangerous to your health. How much sodium are you consuming on a daily basis? 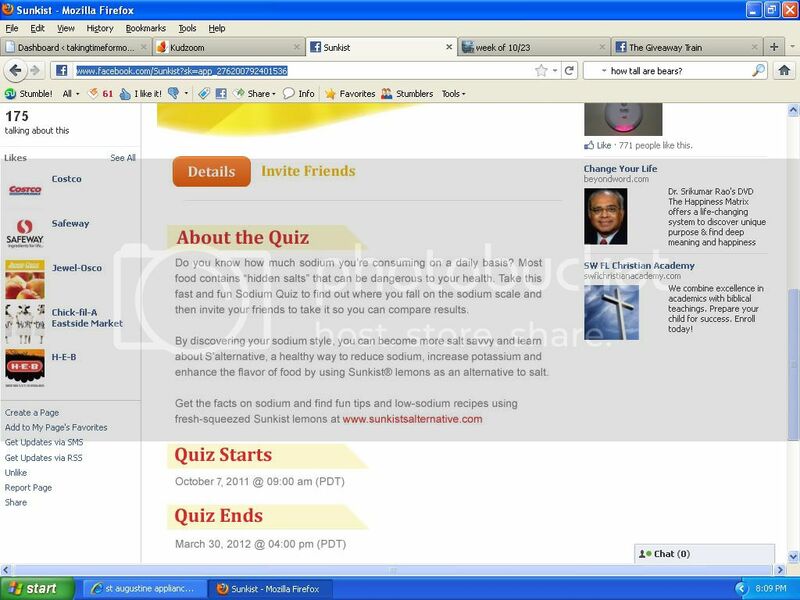 I just took the the Sunkist Sodium Quizfrom Sunkist on Facebook to find out where I fell on the sodium scale. They have tips on how to use Sunkist® lemons as a healthy sodium-free alternative to salt. When I took the quiz I was a Sodium Smarty but I learned a lot and will try. Sunkist S’alternative S’alternative is using fresh-squeezed Sunkist® lemons as a healthy sodium-free alternative to salt. Using Sunkist lemons as an alternative to salt can help reduce sodium, increase potassium and enhance the flavor of recipes.I love lemons so this will be easy for me. I had honestly NEVER thought about it. I’m trying to cut out the salt but it really is hard because when I was growing up we only used salt and pepper as flavoring. It may be a little hard at first but I promise your taste buds will adjust, allowing you to enjoy the true flavors of food that salt often masks.